I have to admit that the choice for my Favorite EP of 2014 was pretty damn easy. I knew it was my favorite after it was the only CD that remained in my player for three months straight. It is also the EP that genuinely made me the happiest out of the fifty or so I spent time with last year. 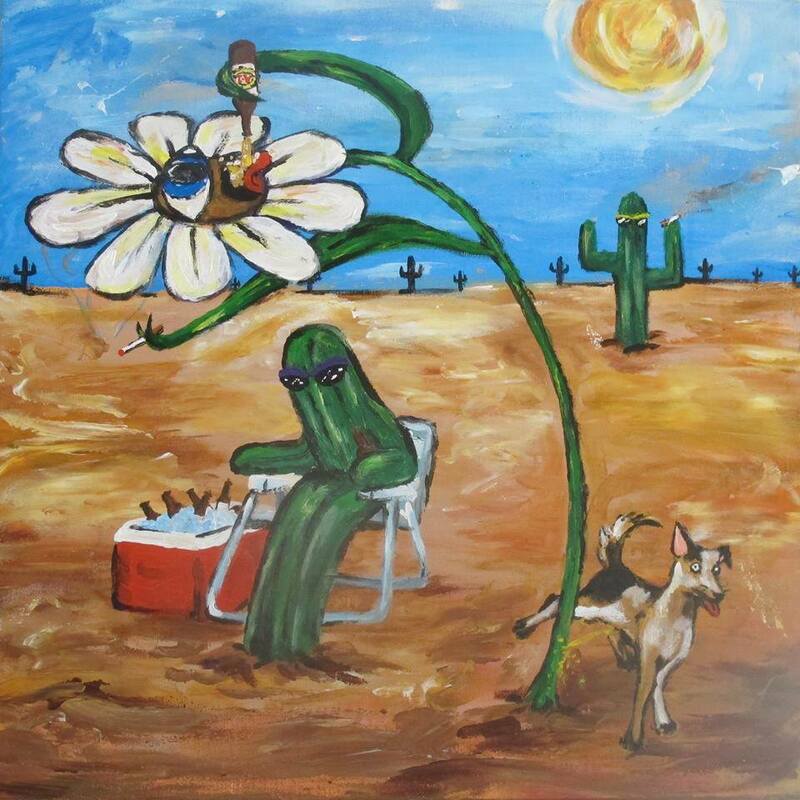 The self-titled debut EP by Lawnchair has to be one of the most delightful surprises of 2014. All six songs on the release are perfect additions to a poolside Summer soundtrack. Not only are all these songs catchy as hell, I had no idea that it was going to sound this good. It really was a complete surprise and it took my ears all Summer long and well into Fall. It’s still my go to CD when I need an immediate pick-me-up or I need to turn a frown upside down. Honestly, I thought Lawnchair had broken up until lead singer Anthony Thrailkill told me about the impending release and the show that would go with it. Right from the get go with opener “Generator” there is a unique style presented–a little punky, a little poppy, a lot of homage to alt rock and a weird bit of Americana in the background somehow, that I’m not even sure they are aware of actually. It reminds me of the early days of Amerian College Rock from the mid 80s–like REM without the pretension, Guadalcanal Diary with more fun and a number of other bands you’ve never heard of, but their sound is so soaked in sunshine and chiming guitars, similarities are really contrived. Everyone of these songs could be a single, from “Lunchtime” to “Neon Pig”, to “Sperm Donor” and “Survey”, even “Legs” in which Thrailkill expresses that he wants to “Eat your legs, I want to taste your heart, I want to lick your brain” which would be awesome lyrics for a metal song, but it’s all delivered with a jaunty tune and a smile. And all of these songs make me smile, the music is happy and celebratory, albeit quirky and strange. Even listening to it now after giving it a rest for a couple months it still makes me smile wide, bop my head and dance in my chair. Lawnchair consists of Anthony Thrailkill (Guitar/Vocals), CJ McNichols (Drums), Nick McKee (Bass) and Nathan Elizondo (Guitar), the combination of which has released some of my favorite music of the year. The EP had been long in the works and it was well worth waiting for, I can only hope now that they play a lot more shows and record more songs, because this should be on everyone’s playlist all year long. If you haven’t heard it yet, I would encourage you to take the time to listen to it below and then play it again, and again and again. It’s addictive and wonderful. It may turn out to be your favorite EP of 2014 in retrospect as well. Every one of these songs is a classic in my mind.